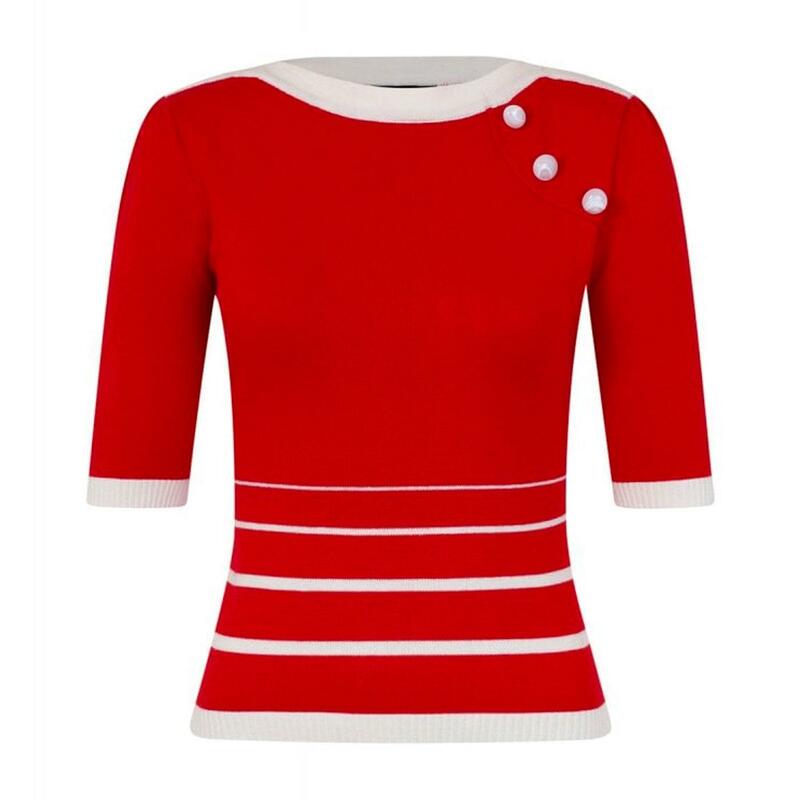 This 1960s mod seaside nautical inspired Armanda jumper in red from Collectif is sure to add a pop of colour to any retro outfit! 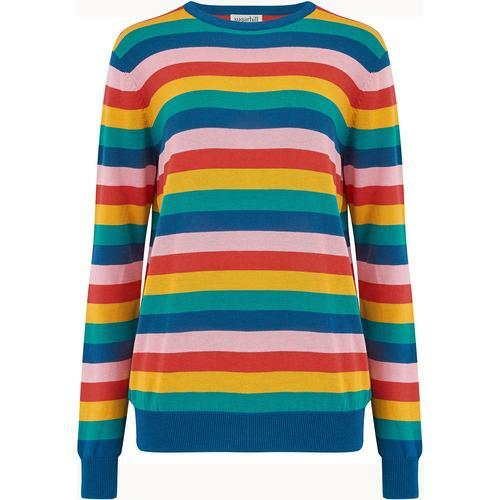 Bright and beautiful, Armanda has a sweet retro boat neckline and elbow length sleeves and sits on the waist. 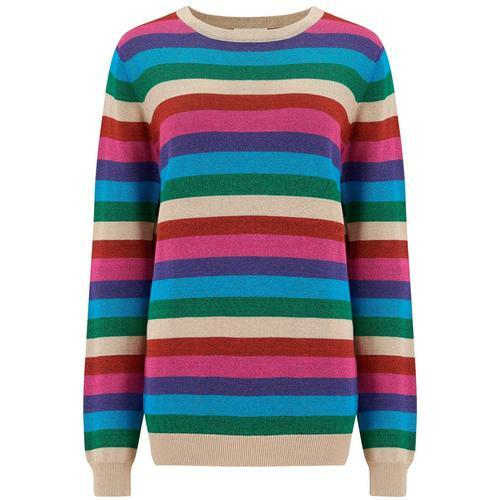 This colourful 60s mod jumper has contrasting stripe detail at the bottom and around the cuffs that make for an eye-catching design. 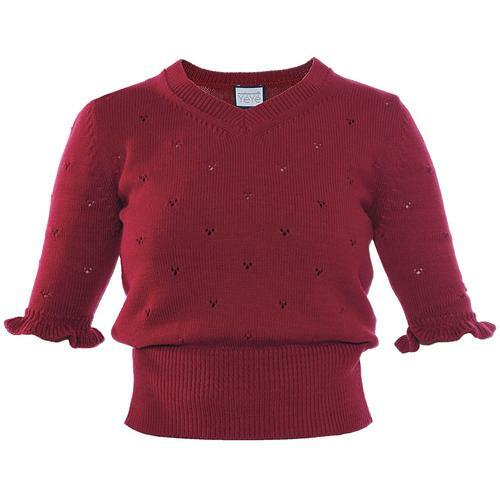 3 domed buttons finish off this vintage jumper in style! 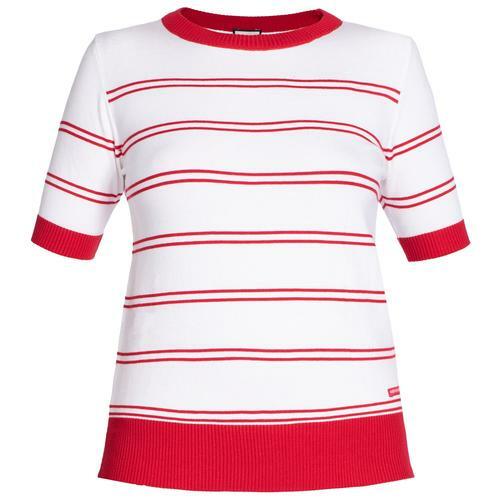 Armanda vintage striped jumper in red from Collectif. Contrasting stripe detail and cuffs. 3 domed buttons on the shoulder.